Can You Guess The Celebrity Owner of this Bedroom? It’s not surprising to see bedrooms filled with collections—from toys and books, to makeup and teeny-tiny quirky knickknacks. This celebrity bedroom deserves a prize for showcasing the favorites of the favorites of the owner to a whole new level. 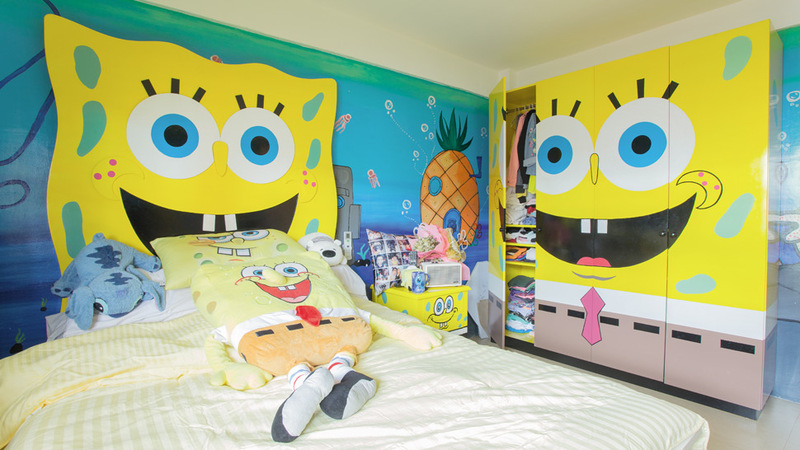 Visitors won’t have a hard time guessing that she loves Spongebob Squarepants to bits. 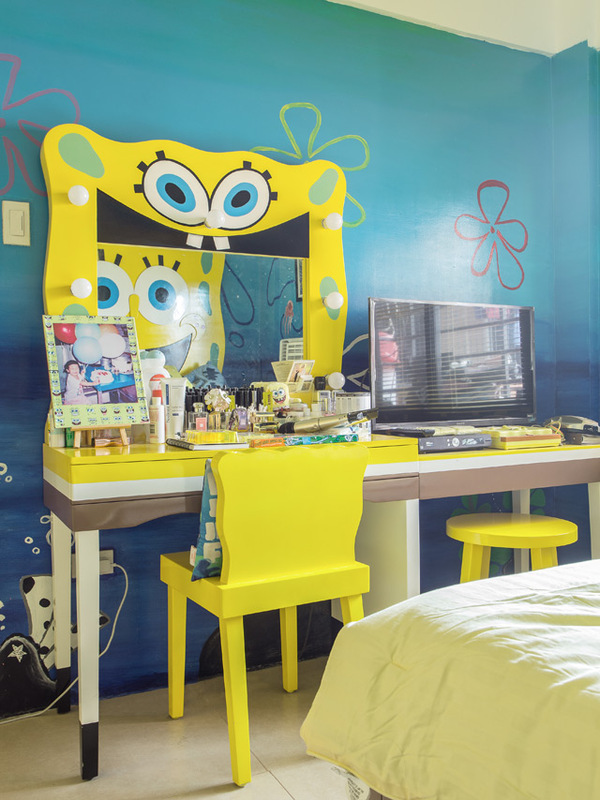 From the bed and walls, to the cabinet and vanity table—the room looks straight out of Bikini Bottom! Any guesses as to who owns this playful space? Comedienne and Goin Bulilit alumna Kiray Celis is proud of her vibrant personal space. Completed with a hand-painted wall, the room highlights charming customized pieces of furniture and delightful pops of yellow. “Paborito ko lang ‘yong mukha niya, pero naa-annoy ako sa boses niya,” she says of the famous yellow sponge. The bed and cabinet are gifts from two special people—Maricel Soriano and Ogie Diaz. Shop for colorful accessories at Roy & Biv, Glorietta 4, Courtyard Drive, Ayala Center, Makati City. 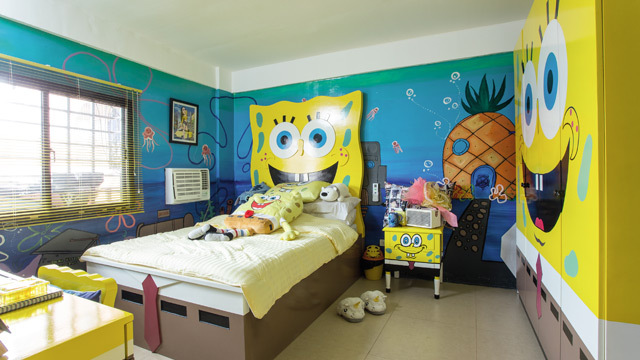 Sprucing up the bed are Spongebob pillows and a huge stuffed toy paired with striped bed linen in a color that complements the striking shade of yellow. To keep the look from being too overwhelming, the ceiling was kept plain and white. RL Tip: For similar pieces, visit Color & Life at SM City North EDSA Interior Zone. Follow them on Facebook. Even Kiray's desks resemble Spongebob's outfit! If you look closely, it's painted yellow, white, and brown. A yellow chair and a stool in a similar color complete the setup. Find similar seating pieces at Habitat. If the bedroom screams yellow, the bathroom is calming and all-white. 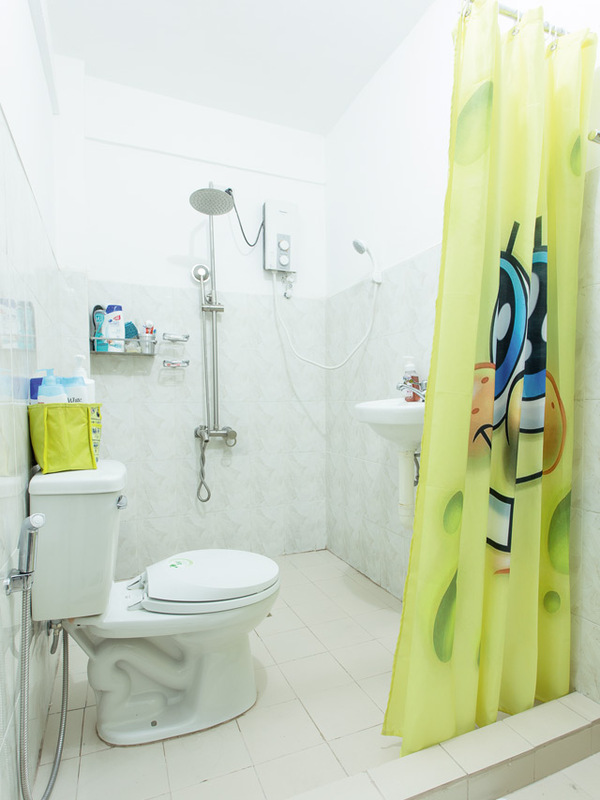 To tie the look with the bedroom, Kiray opted to have a Spongebob Squarepants shower curtain. It also adds color to the space to keep it from being boring. Is you bedroom as unique and colorful as Kiray's? Send us a photo and we might feature you next! Follow us on Facebook and leave a message. Kiray's bedroom originally appeared as part of the Celebrity Home feature included in the April 2018 issue of YES! Magazine.